This is one of those timeless classic stories in the history of the S4J of generous giving. This is actually part A of the story, because by now we also know what happened later. We will also share part B of the story in the next post. On Friday afternoon I saw yet another amount paid into our banking account for the Sudan4Jesus fund.Through the reference I could see this was via Elane, one of the runners. This pushed up the total raised through her to a phenomenal R25,490. I contacted her so that she could thank the “fan” contributing in this way. Elane told me: “You’ve got to hear this…” and then told me the story! I asked her to e-mail the story to me. What a testimony of the amazing things God is doing through the Sudan4Jesus run! Here’s what Elane wrote. Enjoy! “I quickly have to tell you this funny story! About a month ago one of my best friend’s got married in Jan Kempdorp, our hometown. And what a blessed wedding! All of our friends was there so you can only imagine the joyous reunion of everybody! Anyway, you know the tradition of the bride’s garter being thrown to the unmarried men? Well, her new husband took the garter from her leg and threw it over his shoulder to the guys. The lucky guy to catch the garter was one of our friends. He then thought that he didn’t really want it, but it is bad custom to just give it back. So he, the newly weds and the MC came up with the idea to auction the garter and give the proceeds toward the Sudan4Jesus fund. The MC got on a chair, mike in the hand and introduced me as our runner, while explaining about Sudan4Jesus and the auctioning of the garter. Imagine that?! So amazing!! He stood his promise proud and paid the money over last week! Thanks Arrie, you are GREAT!! I’m attaching a photo. In it is Tersia, myself, Mari in front, Hannari the bride and Arrie, our hero of the story! There is a couple of great stories to be shared from the history of the S4J. We aim to share this as part of the S4J archive. We can look back and learn from that. Here is the first article posted on the “old” S4J blog. It started so small. Just a challenge by a colleague: let’s do the 2010 Comrades Marathon! By now, we’ve seen amazing things happening. Divine intervention over and over again. Partnering with heaven and one another. It’s grown into the Sudan4Jesus run. Expecting that this year a team of 25 runners will run the Comrades AND raise funds for the spread of the Gospel in Sudan. 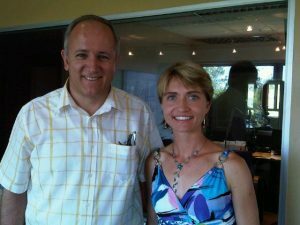 Norman Johnson with Louise Jacobs at the Impact Radio Studios. 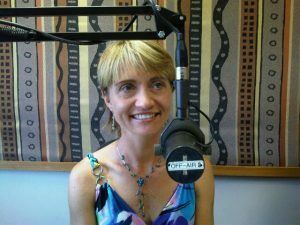 Louise’ testimony was radio broadcasted on Impact Radio on 6 March 2011. Louise is a blind runner that joined the S4J in September 2010. She did her first Comrades Marathon in 2011. Out of a team of 20 athletes, she came third! She left her running partner, Roald, behind at about 20 km in the race and completed the race more than one hour faster than him. He story IS one big miracle. This is just one many stories that makes the S4J journey so fascinating. Louise quite a natural behind the microphone. To God be all the glory! How exciting to start on a new journey. What a privilege to be able to share extraordinary stories of what a wonderful God does through ordinary people. His is the story of the S4J and we have the incredible privilege to journey with Him on this. God created through the spoken word. God as in Father, Son and Holy Spirit. In 2009 two men from the SSNet decided to run the Comrades Marathon in 2010. 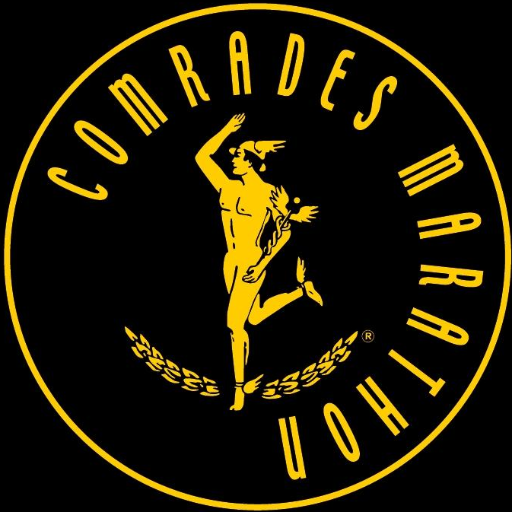 The Comrades, as it is generally known, is one of the premier ultra-marathons in the world. While practicing for the race, about two months before race day, God spoke to one of the two men. Not in an audible voice, but through the inner voice the is part of how the Spirit of God communicates with his children. 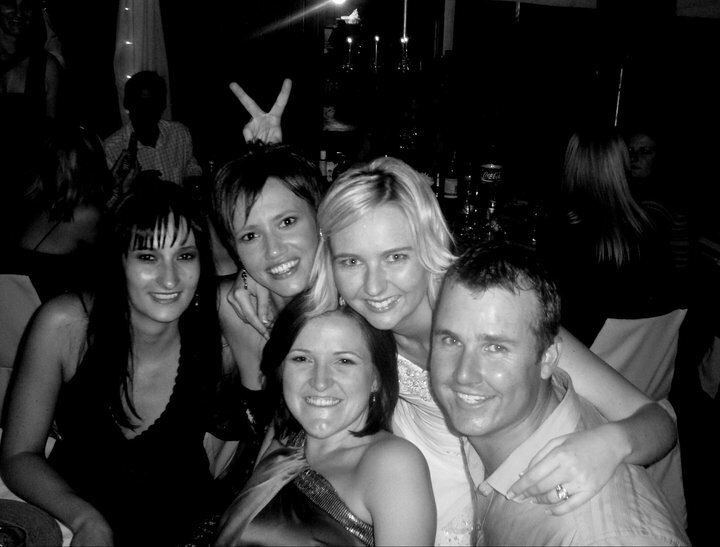 These were the words that will never be forgotten: “DON’T JUST DO IT FOR YOUR OWN GLORY…DO A FUNDRAISER”. Just that….just that. The sharing this as a vision with the SSNet team. And sharing it with others. So it started. Funds came in…about R35,000 in two months. That caught our attention! So it began humble and small…ever growing because it came from the father-heart of God. Right now…looking back…and looking forward…knowing He is the eternal God and Father. He is who HE say He is. And through this exalting Jesus…name above all other names. May this be the first in many stories published on this new S4J blog. The 2017 S4J [Sudan4Jesus run] fundraising campaign ends on 31 July 2017. Yet, its already time to start giving thanks to God and everyone who participated in this year’s campaign. May the praise to God never cease. He is a good God. Raise a CHAMPION for each of the two projects. communicate his plan through the BackaBuddy platform. raise a team of about 20 fundraising advocates. They are mostly athletes who participate in the Comrades marathon, as well as their supporters. For Sudan, the project is: Water for Sudan. This is about having a solar driven pump system installed and fully functional on top of a borehole that the S4J recently donated to a community. 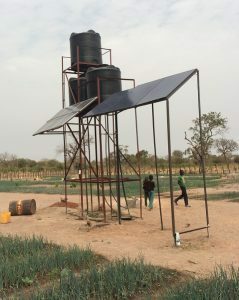 Example of a solar driven pump system already done by the S4J partner. The fundraising for each of the projects was set at R50,000. (Total of R100,000 for both). On 17 March 2017, we made an announcement to our team via a newsletter titled A NEW WAY OF DOING S4J. At that stage, more than 7 months into the fundraising year, the fundraiser had a basis of about R21,000. Here is the beauty of what happened during the next three months. The fundraising campaign went past R100,000. For this we’re tremendously thankful.